Definition: Binaural beats are auditory brainstem responses which originate in the superior olivary nucleus of each brain hemisphere. They result from two different auditory impulses or sounds, heard from opposite ears. A binaural beat is an auditory illusion perceived when two different pure-tone sine waves, both with frequencies lower than 1500 Hz, with less than a 40 Hz difference between them, are presented to a listener dichotically (one through each ear). The way binaural beats work was first discovered in 1839 by a Prussian physicist and meteorologist named Heinrich Wilhelm Dove. 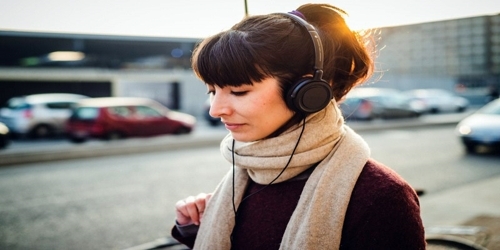 Listening to binaural beats is a free, safe, and increasingly popular way to help maintain good mental health. The best part about using binaural beats is people can just relax into it and let them do the work. People don’t need any knowledge of how it all works to get the effects. Just remember to use stereo headphones, and off they go into the amazing, fascinating world of their mind! 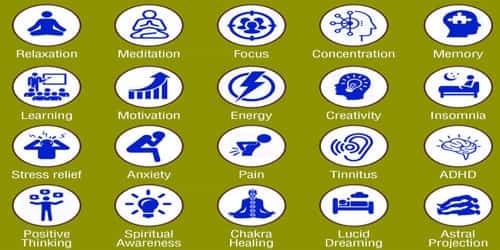 Uses of Binaural beats: Listen to binaural beats when people want to relax, clear their mind, get their creative juices flowing, engage their intuition to help solve problems and for personal development work such as repeating affirmations and doing visualization. Therapist recommends that to get the full and maximal effect of binaural beats therapy, people should practice it for 15-30 minutes every day for 30 to 45 days. 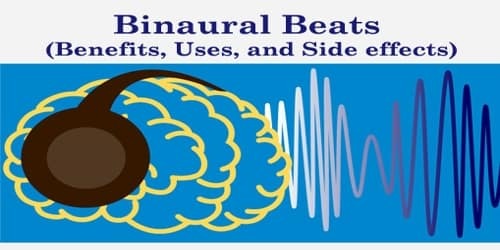 Side Effects of Binaural Beats: Listening to binaural beats is a relatively safe, simple, and flexible technique for altering or enhancing the function of our brain. The frequency, volume, and duration of listening can be easily tailored to our individual needs. Sine waves are not dangerous, and therefore nor are binaural beats. We hear them every day, in music and in nature. And so, the only side effects that might potentially arise from using binaural beats are those similar to those that would come from an overexposure to music. Reports of side effects from using binaural beats are extremely rare, and there have been no reported dangers documented during controlled studies. 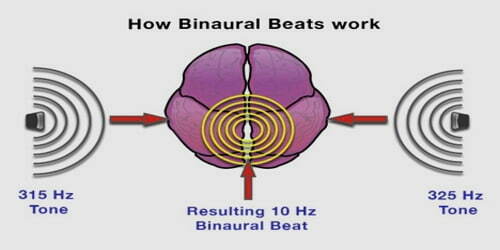 People would have to use binaural beats excessively, for perhaps 8 hours in a day, to even trigger a headache. For example, a few studies have found that listening to binaural beats can increase feelings of depression (Uncontrolled pilot study, and DB-RCT ). Additionally, listening to binaural beats can temporarily increase anxiety, anger, and confusion in some people (DB-RCT, and BD-PCT). People should be in a relaxed state, and therefore the recording should be set on an ear-pleasing medium volume setting whereby the binaural track beat is adequately audible. Using 2-3 recordings (of 30-minutes) per day is an advisable threshold, and will cause no side effects.